It's boiling here in the uk and writing under no Aircon is a struggle, but at least we've got some good news to share as we've just been informed that the upcoming enhancement of Barbarian that is being worked on by Ten Shu, Colin Vella and Simone Bernacchia as Barbarian+ for the Commodore Amiga. Has just been teased again but this time with a new video showing a female warrior added to the game. For those that missed any previous announcements they are also working on a Warrior type, skin and kit colour selection, gore option menu. 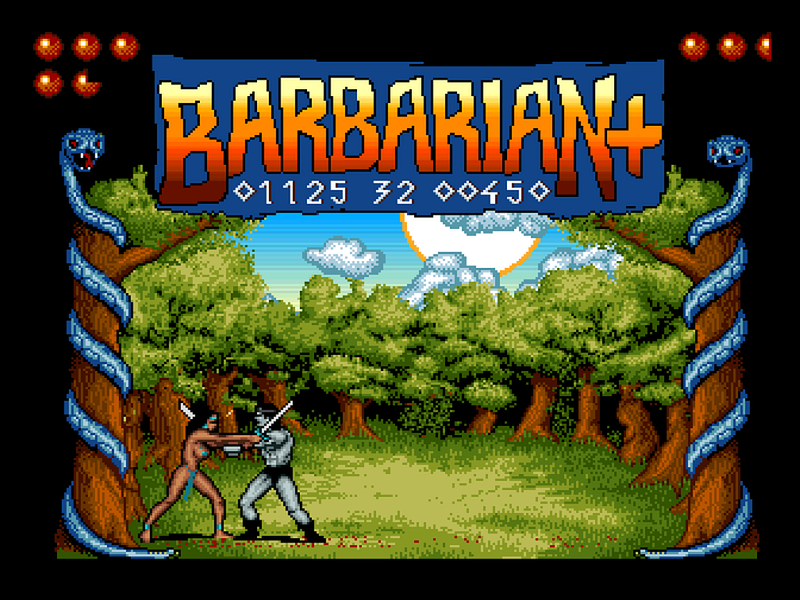 Barbarian(Death Sword), was released for the C64 and later ported to other systems such as the Acorn, Amiga, Amstrad, Atari, Apple II, BBC Micro, MS-DOS and even the ZX Spectrum. This enhancement of the Amiga version however looks to take the game to the next level, as not only does it look so much better for the Amiga, but there's neat additions added along the way too as an extra added treat!